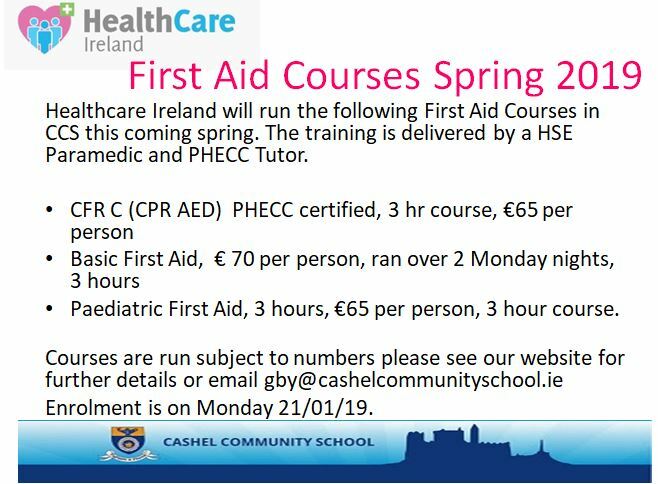 SNA QQI Level 6 – places still available, Mondays for 10 weeks, €400, Commencing in February* date to be confirmed. 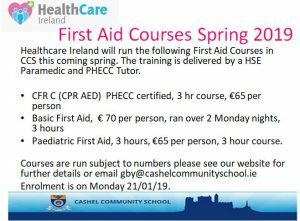 SNA QQI Level 5 – places available Mondays for 12 weeks, €400, date commencing to be confirmed. Adult Education Courses will run on Monday nights in Cashel Community School commencing Monday 28th January. 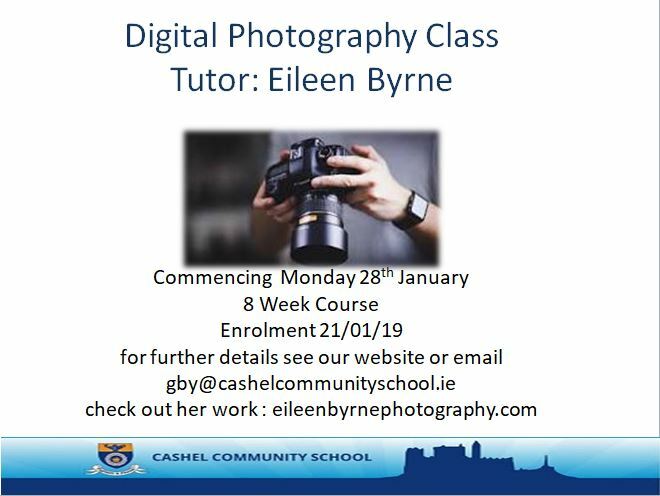 Enrolment will take place on Monday 21st January between 4 – 5 pm and from 6.30pm – 7.30pm. 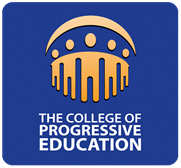 All fees are non refundable except where courses do not form. 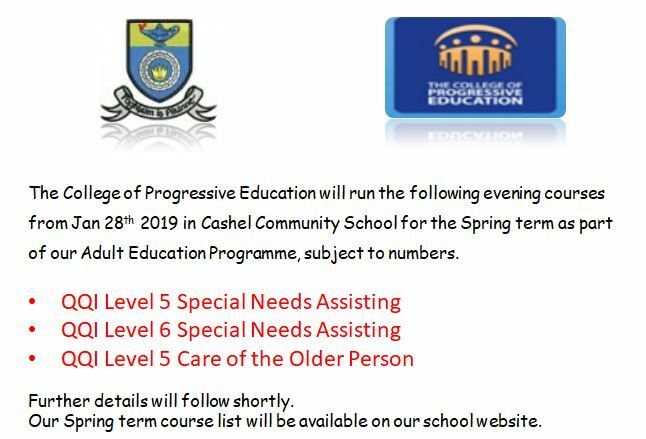 Application will be accepted by post if accompanied by completed enrolment form and sent to Adult Education Dept., Cashel Community School, Dualla Road, Cashel. 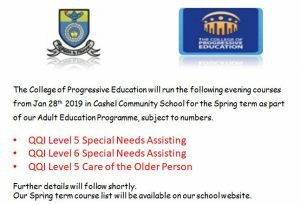 Cheques are to be made payable to Cashel Community School. Classes will only be formed if there are sufficient number of enrolments. Car Parking is available at owners own risk. Further courses including computers, languages and Art will be added in the coming days so please check back regularly.